Fochabers is the music capital of Moray. In early August each year the village is the focus of the annual Music Festival, Speyfest which attracts fans in their thousands to enjoy music in an open air setting. Fochabers is an attractive village with a fine selection of historic buildings. The fine Georgian church on the south side of the square is especially striking. A selection of antique shops offer collectors the chance to acquire a unique souvenir of their visit to Speyside. Just outside Fochabers is the excellent visitors centre at Baxters Highland Village with its huge range of traditional Scottish foods, recipes and attractions. A few miles further north is the Whale and Dolphin centre at Spey Bay. Visitors can discover the rich marine life of the Moray Firth and enjoy spotting wildlife in the estuary where the Spey flows into the sea. Visitors to Aviemore can enjoy a wide range of activities associated with the awesome mountains of the Cairngorms National Park. Take a trip on the Funicular Railway to admire the view from Cairngorm itself. Whether you prefer to visit local attractions, take advantage of the many sporting opportunities or just go shopping, you will be spoilt for choice. Grantown-on-Spey is the capital of Strathspey and a fine example of a Georgian planned town. It has many historic buildings, a tree lined Square and striking Georgian and Victorian architecture. Grantown has a wide choice of excellent hostelries. The square and high street offer a unique range of shops selling everything from whisky, food and local produce to clothes and sporting equipment. Galleries, studios and a folk museum enable visitors to immerse themselves in the arts, crafts and heritage of Speyside. Just outside Grantown is Boat of Garten – famous for the Ospreys that can be seen nesting in Abernethy Forest during the spring and summer. A wide range of activities may be enjoyed throughout this area including golf and Festival Events. At Glenlivet escape into the Cairngorms National Park. Explore whisky smugglers trails and discover the superb wildlife either on foot or from the comfort of an off road vehicle. The Glenlivet Distillery was the first legal distillery in Scotland. Its visitor centre is superbly appointed and offers specialist tours and tastings. In the centre of Glenlivet is Tomintoul, the highest village in the Highlands. Here shops, cafe, restaurant, art galleries and a museum allow visitors to immerse themselves in the local culture. The secluded northern banks of the Spey at Knockando are a perfect base for salmon fishing. Here, between Grantown and Craigellachie, you will also find a number of well known distilleries. Tamdhu, Knockando, Cardhu, Daluaine and Macallan. The pretty village of Archiestown offers accommodation and dining whilst the Cardhu and Macallan Centres present visitors with a unique opportunity to immerse themselves in the production methods of Speyside malts. Whilst in this area do not miss the opportunity to explore Ballindalloch Castle, otherwise known as "The Pearl of the North". Aberlour is home to one of Scotland's most famous products - Walkers Shortbread. Lying between the Conval hills and the river Spey in the heart of Speyside, this beautiful village stretches for almost a mile. Its broad High Street invites passing motorists to pause and take a little time to savour its delights. Superb retail outlets and delicious eating places are all to be found here. Towards the south western end of the village is the square and parish church built in 1812 as part of the new town. Close by is the Speyside Way where visitors can take a gentle stroll along the banks of the river and admire the skill of anglers fishing for salmon. Rothes, 10 miles south of Elgin is home to five malt whisky distilleries including Glen Grant with it’s magnificent garden. Rothes is an excellent base for walking and mountain biking with the Speyside Way extending into trails over Ben Aigen and further tracks going back up towards Archiestown and Knockando. It’s golf course is attractive though slightly hilly with magnificent views over the River Spey. The remains of Rothes Castle are also worth a visit. Spanning the Spey Craigellachie has a remarkable bridge built by Thomas Telford in 1814. A plaque records that the metalwork was cast in Wales.The village has excellent eating places as well as galleries and a gift shop. Just outside Craigellachie is the Speyside Cooperage and Visitor Centre where ancient crafts and skills can be watched and enjoyed. Dufftown is home to seven working malt distilleries and is famous for its whisky talks, tastings and tours. Restaurants and cafes are found throughout the village. The Whisky Museum, Whisky Shop and Kilt Shop add to the charms of this delightful highland community that also hosts a wealth of family events and activities by the Clock Tower during the Festival.Festival goers have no need of their cars between Dufftown and Keith thanks to the Keith and Dufftown Railway. Elgin is the county town of Moray and has a long and fascinating history reflected in its buildings and monuments. Visitor attractions of particular note include the Glen Moray Distillery, Gordon & Macphail and Johnstons of Elgin Cashmere Centre. Spey Bay is only a short distance away with regular excursions to see dolphins, whales and other marine wildlife. Before moving on don’t forget the Longmorn and Benriach Distilleries just south of Elgin. 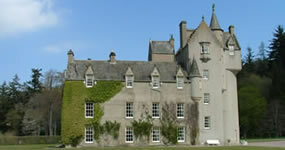 Forres is renowned for its impressive parks and gardens. Its outstanding floral sculptures have led to many awards in prestigious national competitions.To the north are the beautiful beaches of Findhorn Bay and wildlife of the Moray Firth. Inland Benromach Distillery, Cawdor Castle and Brodie Castle are not far away, whilst Brodie Countryfare has a unique selection of Scottish produce on offer. Situated on the banks of the river Isla, Keith is an important centre for kilts and tartans. It is home to the only Kilt School in the world, where students are still able learn the traditional art of kilt making from masters of the craft. The town is divided by the river into two distinct parts. On the west bank is "Old Keith", dating back almost 1,000 years, whilst on the east bank is "New Keith", built by the Earl of Findlater in 1755. Mid Street still retains an attractive old world feel which complements its excellent range of traditional shops. Down on the banks of the Isla is the picturesque Strathisla Distillery - the oldest working distillery in the highlands. Tours and tastings at its Visitor Centre make a first rate introduction to the Malt Whisky Trail. The town is also well situated for touring the local area. Towards Aberdeen and Castle Country is Huntly with again many attractive buildings to visit, particularly Huntly Castle. Just outside the Huntly is the Nordic Ski Centre. One of Keith's most famous links is the Keith and Dufftown Railway which during the Festival and Summer months runs regular trains to and from Dufftown.